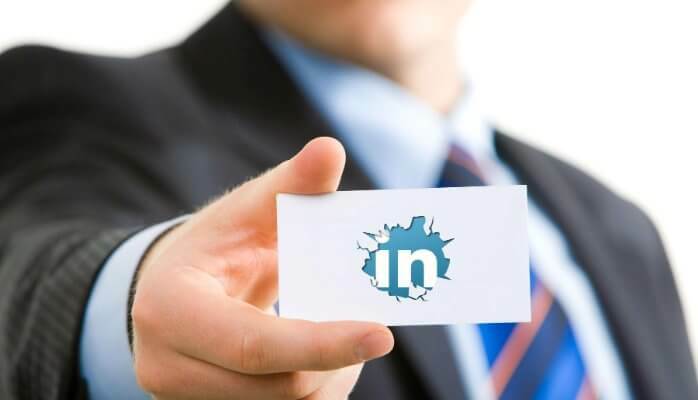 LinkedIn is a 300 million strong professional network which can go a long way in helping you network with great people and find amazing business leads, job offers and collaboration opportunities. I’ve used LinkedIn effectively for the past few years and have reaped the rich rewards of having an active professional presence. I want to share a few of those key tips that can help you optimize your LinkedIn profile for career success. First impression is the best impression and you don’t want to connect with people who don’t want to show you their face. So saying having a professional display picture on LinkedIn is really very important. Pictures adds personality and authenticity to a profile and encourages people to initiate contact with you. It also leaves a good impression, so make it warm and inviting. Let it reflect what you stand for. It’s good to experiment with your profile picture like I’ve done, but don’t overdo it! The sub heading region below the name is one of the most potent however most neglected space by many users. LinkedIn gives you an option to sell yourself to people who visit your profile. Make the best use of this piece of real estate by writing a crisp, interesting and intriguing line. This is as important as introductory words you use while meeting someone, so make it meaningful. Instead of writing another boring job title, which many people do, bring a little twist. It is important to mention your industry in your LinkedIn profile. This will ensure that you get relevant connection from the right industry and also makes it easier for people who are looking to connect with professionals in your industry, to find your profile. LinkedIn recently introduced cover photo feature on its platform taking cues from Facebook and Twitter. This new way of enhancing your profile visually has opened up a lot of possibilities. Use this space effectively and bring out your unique brand personality. Personalize this space with a properly designed cover image. It could carry your brand insignia, your twitter or Instagram handle or even your positioning statement. Get creative with it, but make sure it is created for you and not a random image picked from google. The size LinkedIn suggests for the cover image is 1400 x 425 pixels and a maximum file size of 4mb. This is a vital region of your profile to display your website, blog link, social media handle, and if you will, also your telephone number and skype handle. Make sure to include links to your twitter handle, Facebook page and also links to your work portfolio and personal blog. This is necessary so people who visit your profile are directed to your work portfolio and contact you for possible collaboration or job opportunities. A customized vanity URL can help you be found especially when people are googling your name. Add a vanity URL to your linkedin profile instead of the default URL which is a long series of meaningless letters and numbers. Vanity URLs help when you want to share your profile with someone or would like to include it online or offline or on your business card. Make it short. Linkedin has recently opened up its publishing platform to all users. It is a fantastic space to share your knowledge and expertise on a subject as a thought leader. Posting articles to LinkedIn with Publisher also makes the content searchable by keyword in LinkedIn’s post search box which is just so good for content marketing. This is power in the hands of the right people and a great way to increase your reputation and give you greater visibility. Summary is another important area of your profile that you must work on. Using the right key words improves your chances of being found in searches. LinkedIn provides you the real estate to write 200 words. Make use of this space to optimize your profile with the right key words but make sure you write your story in an interesting and engaging manner. This area is for your professional story written in the most interesting, crisp manner possible, while including all the important key words that define you and your skills. Add rich media to your profile. It makes your profile stand out, adds color and interest and more than that – encourages people to click on it and view your work portfolio or project. Exploit this feature to include all the interesting projects you have been involved in. Add as many links as possible and showcase your work. Embed videos, slide shares or just anything that will highlight your skills and make your profile standout. Include your key skills on your profile. This lets people who visit your profile know your key competencies and skillsets. Top Skills also adds credibility when people you’ve worked with ‘endorse’ your skills. By endorsing you, your network gives you their stamp of approval. If you have published any research papers or articles do include them in the Publications section of your LinkedIn Profile. Do not forget to include your Education information, and your University or College details in this section. It makes it easy for alumni and your former collegemates to find you and connect with you. You can also include documents/certificate of achievements, should you wish. Make sure to include your voluntary experiences and causes you care about. If you are part of any international or local organization, include it on your profile. Add your personal interests. It will show that you have a well-rounded personality. John Thomas is a UAE based social media consultant who currently works hand in hand with some of the leading brands in the MENA region, helping them improve their digital footprint, increase brand awareness and accentuate their social media presence.